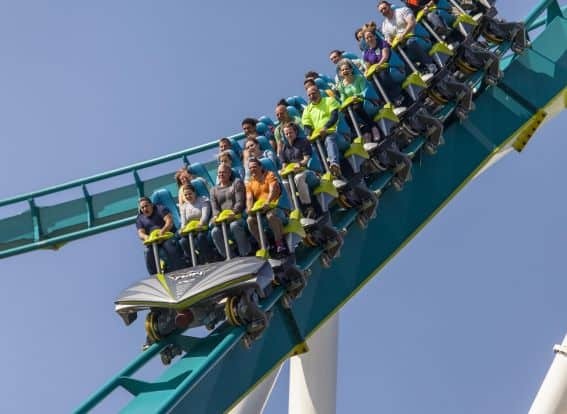 From innovative coasters using the latest technology to rides featuring familiar classic brands, parks across the United States and Canada have once again outdone themselves with new thrilling and fun experiences this year. 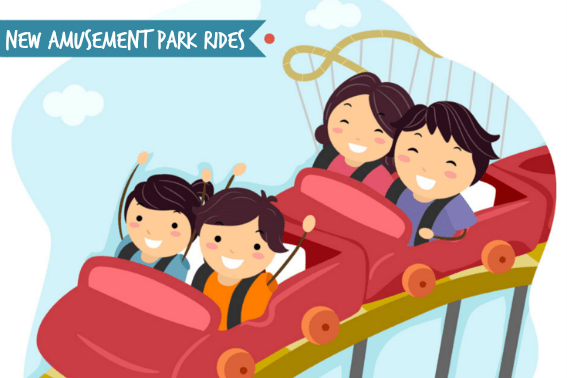 So do yourself a favor and arm yourself with this comprehensive guide of kid-friendly amusement parks amassed from the IAAPA (the largest international trade association for amusement facilities and attractions), and get ready to have fun! Here are the new amusement park rides for 2015. 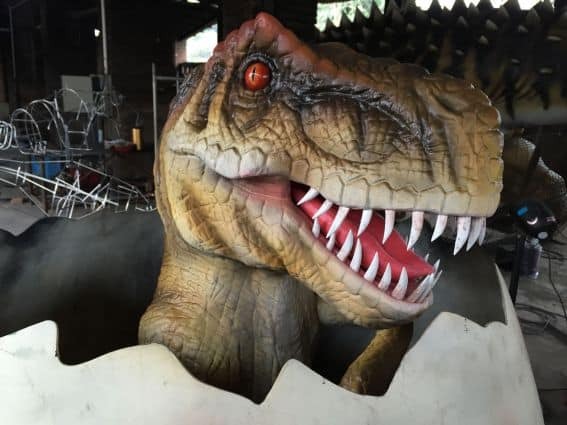 Alabama Splash Adventure in Bessemer, Alabama, opens a revamped version of “Rip Roarin’ Rampage,” a wooden roller coaster that takes you 120 feet off the ground and sends guests through multiple turns and drops as they reach top speeds of 56 mph. See Alabama Splash Adventure in action. Check out our Top 10 Things for Families to Do in Alabama. 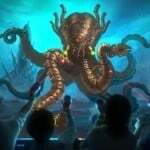 Knott’s Berry Farm in Buena Park, California, debuts a new 3-D interactive dark ride, “Voyage to the Iron Reef.” Guests climb aboard four-person submarine-inspired ride vehicles and embark on the four-minute gaming adventure into the Iron Reef. 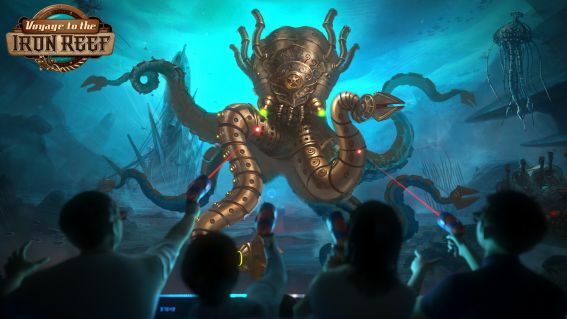 Equipped with an interactive freeze ray, guests aim for ballooning puffer fish, an iron-clad octopus, and other exciting 3-D creatures as they attempt to save Knott’s from a watery doom. Along the way, the submarines navigate 600 feet of track and 11 scenes featuring hundreds of media-based creatures and live-action special effects. Buena Park offers a ton of family friendly attractions in the OC. Explore Knotts & more family fun. LEGOLAND California in Carlsbad, California, opens the LEGO Star Wars Miniland Death Star. The attraction offers guests the chance to view iconic scenes made of LEGO bricks that were filmed inside the Galactic Empire’s space station. LEGO models of Stormtroopers, a Rebel X-wing fighter pilot, and an Imperial Starship pilot are on display. Guests can use their imaginations to construct their own LEGO spaceships at nearby building stations. LEGOLAND also debuts Heartlake City. 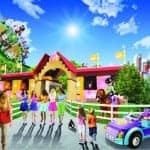 The new area is based on the LEGO Group’s “LEGO Friends” toy line, which focuses on the lives and personalities of five girls: Mia, Olivia, Andrea, Stephanie, and Emma. Is everything really as awesome as they say it is? Read on to find out more about LEGOLAND California. Six Flags Discovery Kingdom Vallejo, California’s introduces the “Dare Devil Chaos Coaster,” a single looping coaster that builds anticipation as riders, seated back-to-back, travel backward and forward until they complete multiple revolutions through a 70-foot-high loop. See what families think of Six Flags Discovery Kingdom. 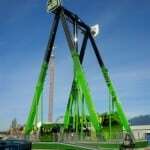 Six Flags Magic Mountain in Valencia, California, near Los Angeles, debuts the newly created “Twisted Colossus” wood hybrid coaster. 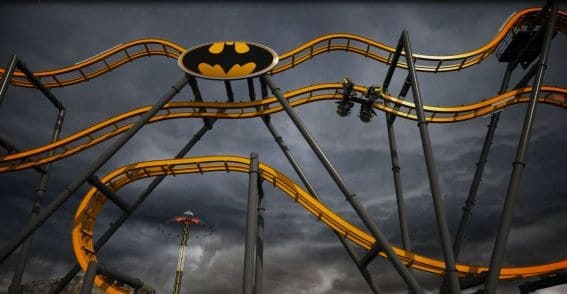 The four-minute ride takes guests along nearly 5,000 feet of track including numerous exciting features such as a “Top Gun” element, where the coaster slows as it passes through a loop. Two trains are on the track at the same time and at certain points it will appear as if they are interacting with one another, even passing through overbank turns at the same time opposite each other. The coaster also features a zero-G roll and includes two lift hills as it blends steel track technology with an iconic wooden structure. Explore or write kid-friendly reviews of Six Flags Discovery Kingdom & Magic Mountain. Read all about the top fun things to do with the kids in California. Check out a video of the ride. 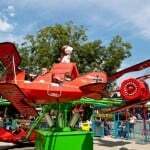 Explore or write kid friendly reviews of Elitch Gardens. Glenwood Springs is full of rich history and family fun. Explore our Top 10 Things for Families to do in Colorado. Explore or write kid friendly reviews of Lake Compounce. 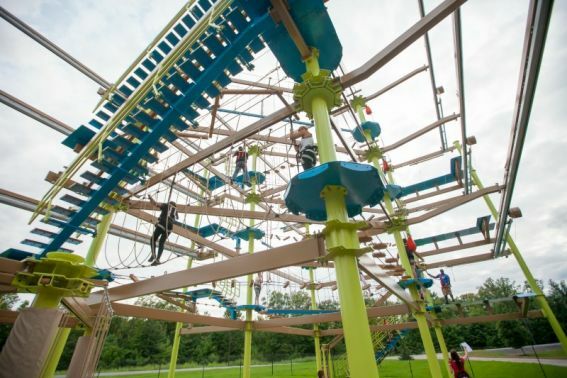 Quassy Amusement Park in Middlebury, Connecticut, introduces two new guest experiences in 2015. The thrilling “Frantic” swings riders back and forth, higher and higher, until it reaches full 360-degree flips. The park also adds “Collidoscope” bumper cars for kids between 36 and 48 inches tall. www.quassy.com See how the “Frantic” ride will get you frantic! 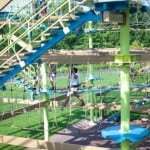 Read more about Quassy Amusement Park. Check out our Top 10 Things to do in Connecticut! Everything you ever wanted to know about WDW is here. Is Fun Spot as fun as they say? Read parent approved reviews. Is Jungle Island as wild as it seems? Read on and find out. Ready for more? Explore our top 10 picks for family friendly fun in Florida. 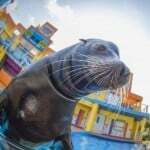 Check out kid friendly reviews of Six Flags Over Georgia. There’s more fun waiting for you in Georgia. Read all about the top activities to do with your family. Explore more things to do with the family in Idaho. 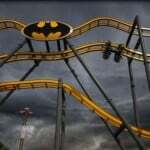 Explore or write kid friendly reviews of Six Flags Great America. Holiday World and Splashin’ Safari in Santa Claus, Indiana, introduces “Thunderbird” a first-of-its-kind launching wing coaster. 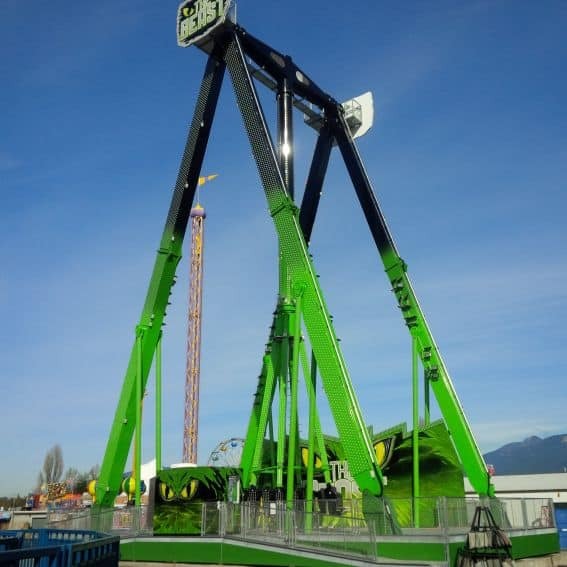 The ride features a zero-to-60-mph launch followed by multiple inversions, including a barrel roll, a 14-story-Immelmann loop, and another loop 125 feet in the air. “Thunderbird” loops high in the air and then hugs the ground, surprising riders via near misses with keyholes, scenery, other rides, trees, and more. Explore or write kid friendly reviews of Holiday World and check out the Holiday World “Thunderbird” video. Interested in more Indiana? Read about the top ten things to do with the family in Indiana. See what else made our top 10 Maryland. 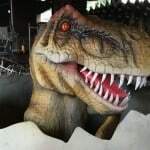 Explore or write kid friendly reviews of Six Flags New England. Check out our top 10 things to do when visiting Massachussetts. Learn about this water-loving state by checking out our Top 10 Michigan. What else can you do in Minnesota with the family? Read on for top ten suggestions. Explore or write kid friendly reviews of Silver Dollar City. Get tips on visiting Six Flags. We’ve got lots of tips & tricks on exploring KC with kids. Explore our Top 10 Things to do in Nevada. Morey’s Piers and Beachfront Water Parks, the classic family owned and operated seaside destination located on the boardwalk of the Wildwoods, New Jersey is bringing back the colossal gorilla themed amusement ride. It stands 25 feet tall and growls furiously as riders in biplanes duck and dive to avoid Kong’s grasp. www.moreyspiers. com. Watch Kong in action. 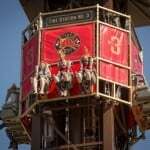 Explore or write kid friendly reviews of Morey’s Piers. Read parent tips on visiting Six Flags and Hurricane Harbor. Ready for more? Top 10 New Jersey has plenty of suggestions! Explore or write kid friendly reviews of Darien Lake. Made it through The Great Escape? Share your tips or read kid friendly recommendations. 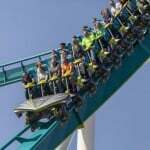 Explore or write kid friendly reviews of Carowinds. Check out family friendly perks of Great Wolf Lodge. Is this iconic park kid friendly? Parents weigh in on Cedar Point. Explore or write kid friendly reviews of Kings Island. There’s plenty to do in Ohio. We’ve shared our best recommendations in our Top 10 Ohio. Explore the rest of OK with our Top 10 Oklahoma! Check out reviews of Dorney Park. Hersheypark offers kid friendly fun. Check out parent recommendations. Is Knoebels kid friendly? Check out parent approved reviews. Explore or write kid friendly reviews of Waldameer. Trekaroo families love Pennsylvania. Explore our Top 10 PA! 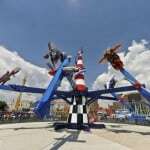 Check out kid friendly reviews of Six Flags Fiesta Texas. Read about the top things to do in Texas. See what else there is to do with the family in Utah. Read more kid friendly reviews of Great Wolf Lodge. Explore or write kid friendly reviews of Kings Dominion. 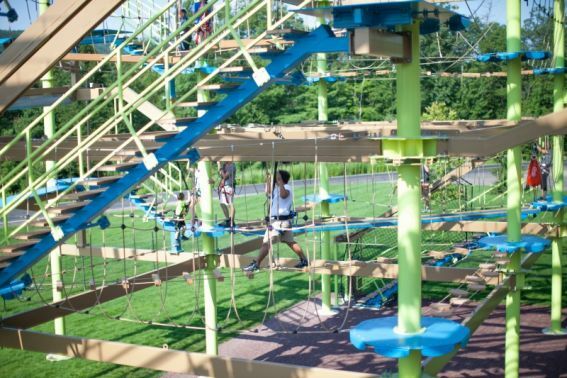 Get ready for more kid-friendly fun with our top 10 Virginia. Read all about the fun to be had in Montreal.